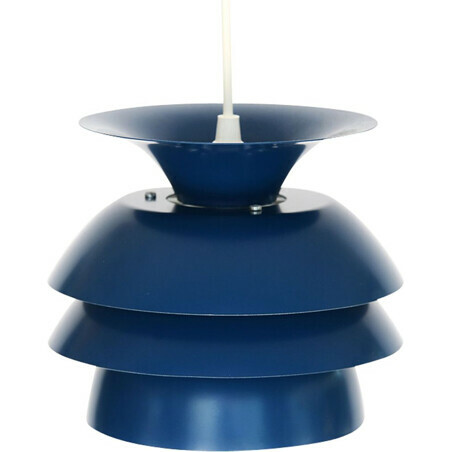 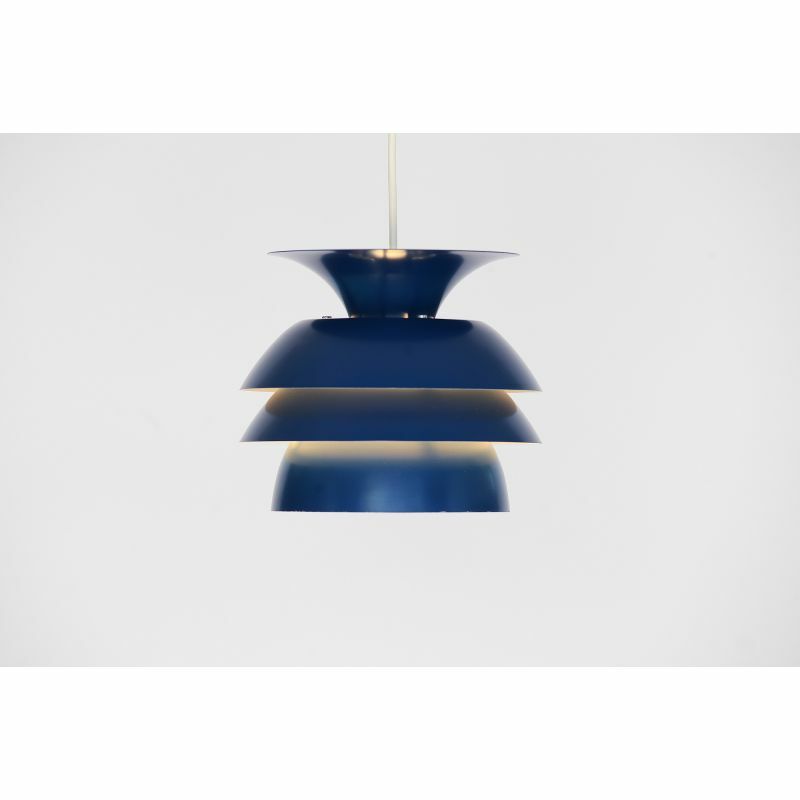 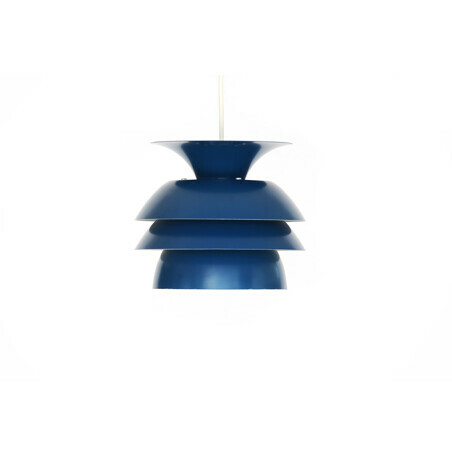 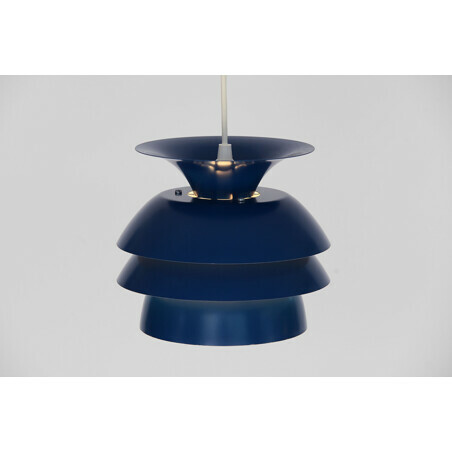 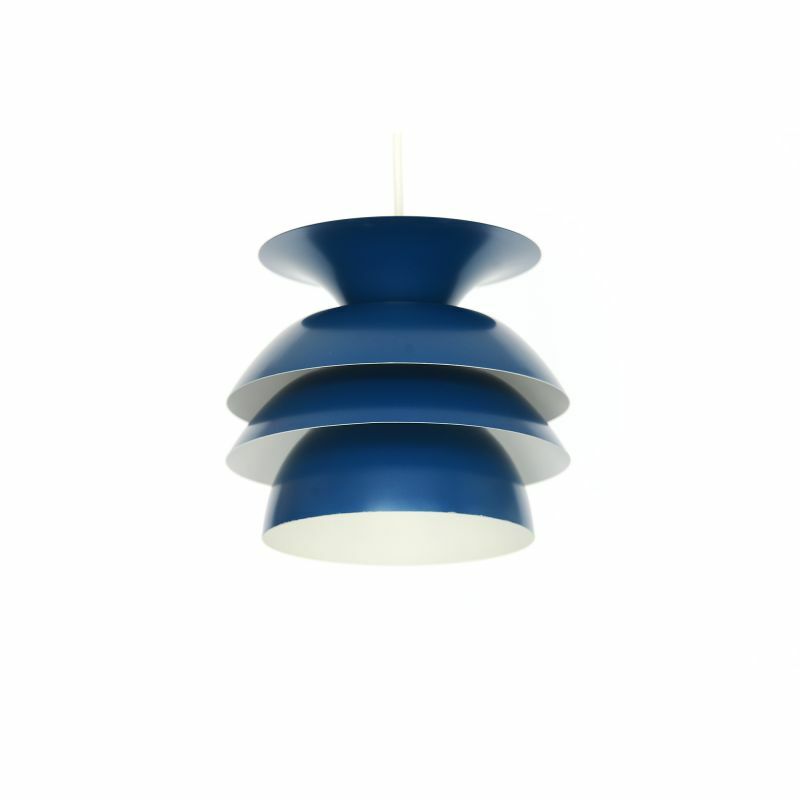 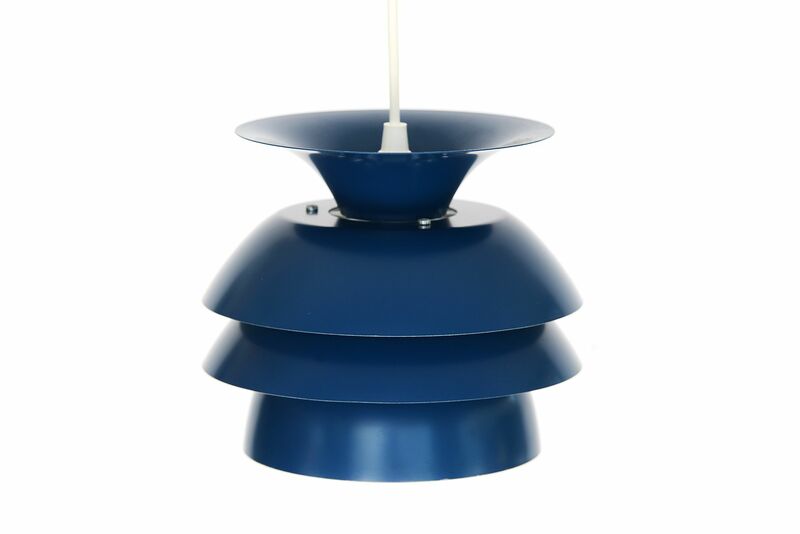 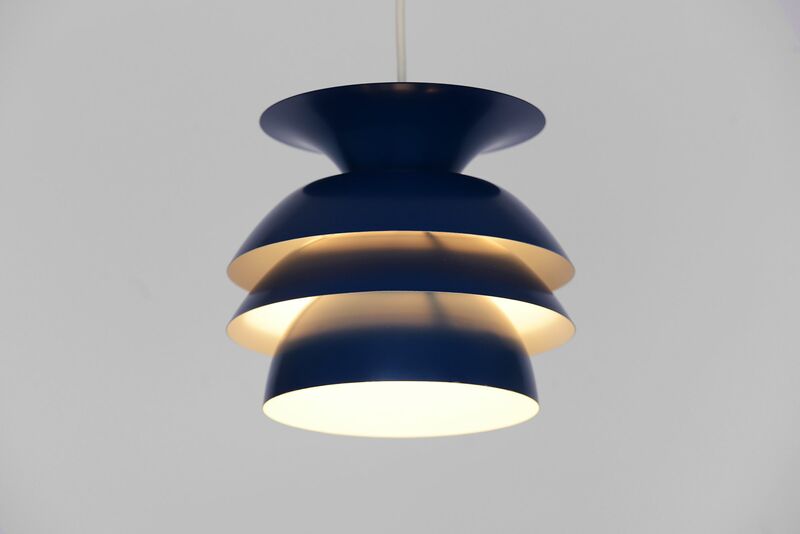 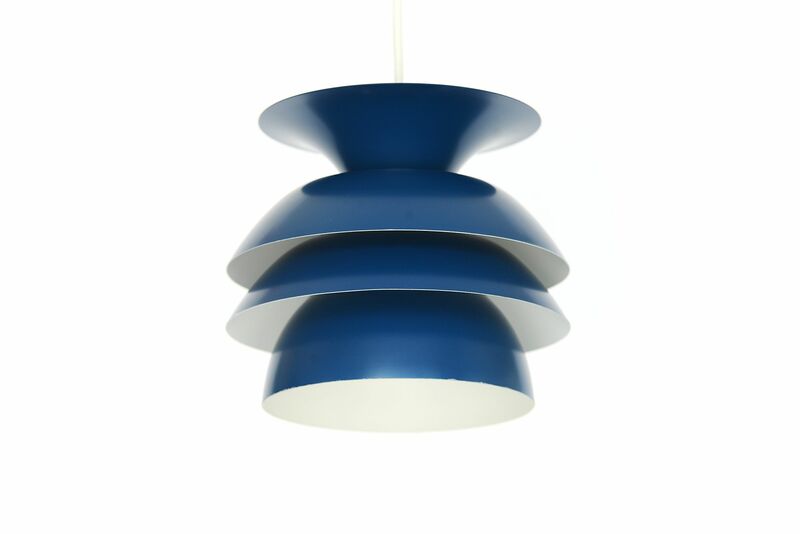 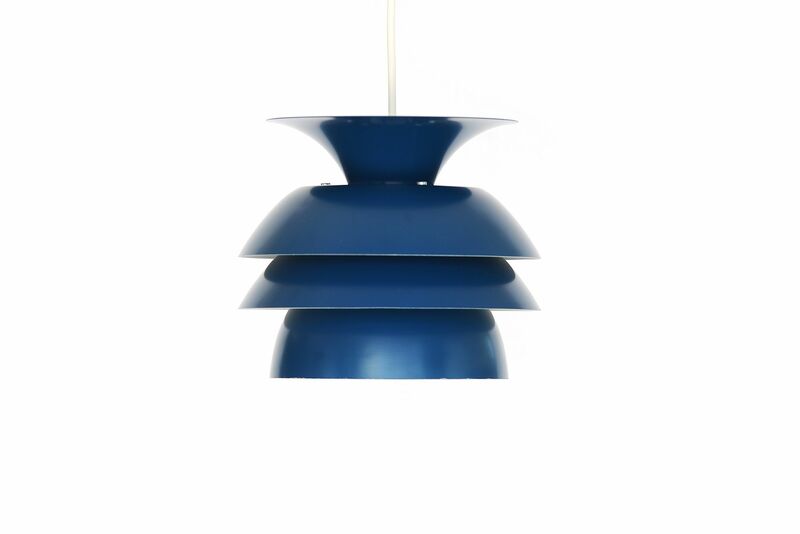 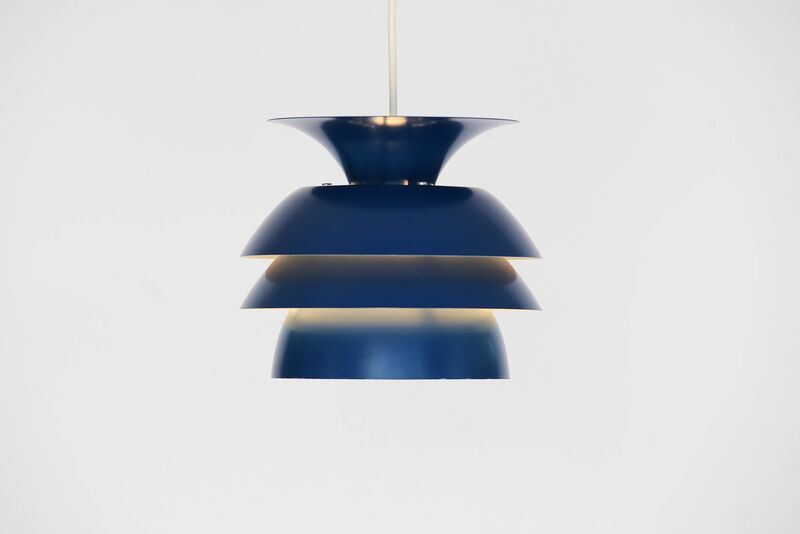 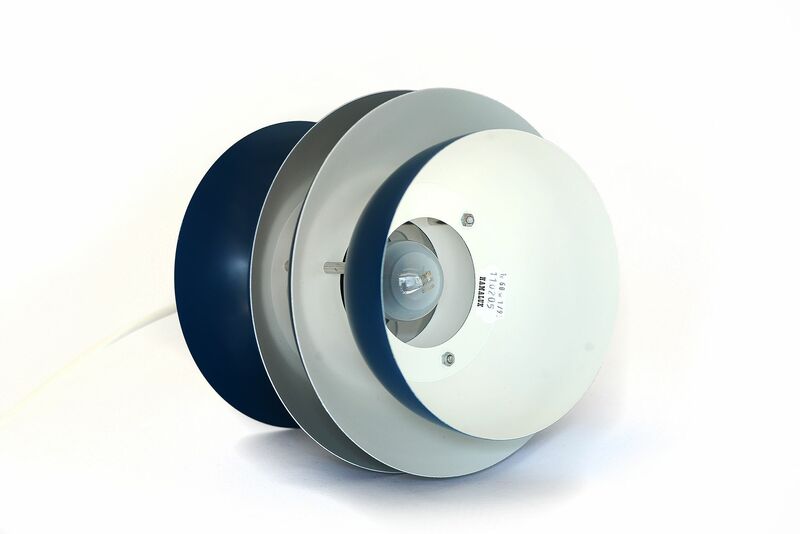 Deep blue metal pendant light from Danish producer Hamalux. 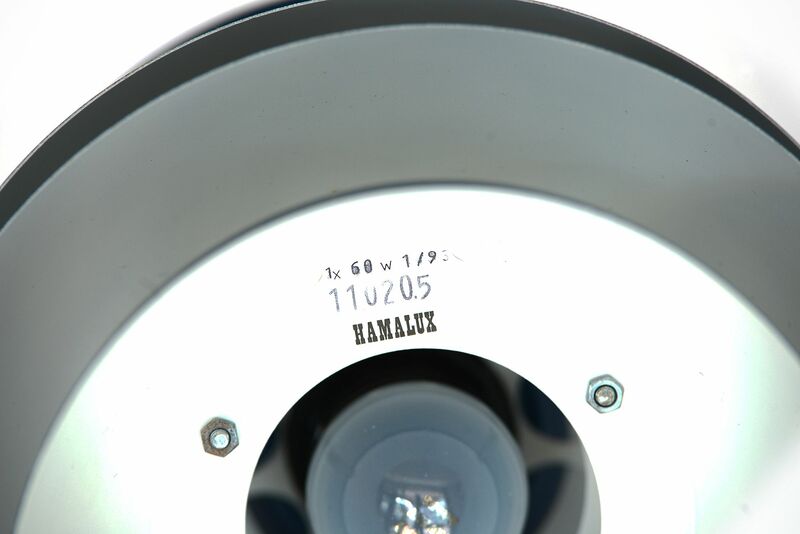 This is a so called "new old stock". It comes from an old stock at a wholesale company in Copenhagen, produced in the 70s but unboxed today for these photos. 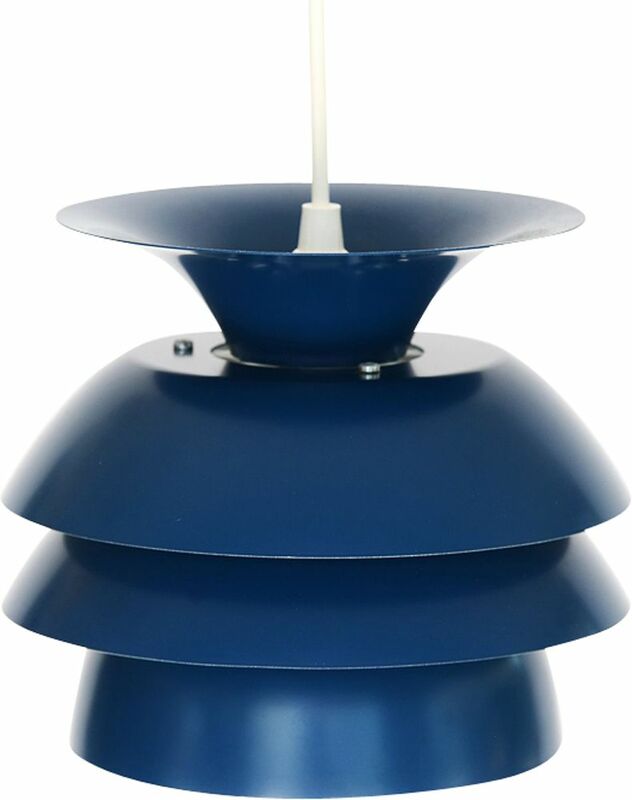 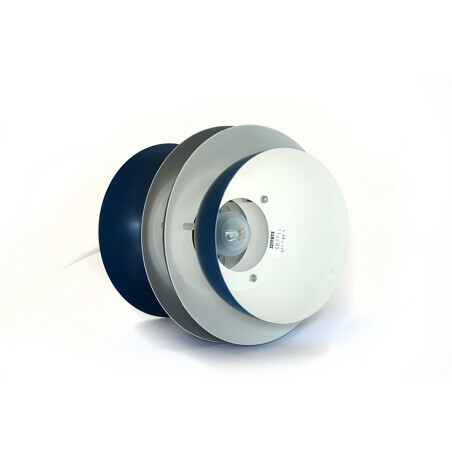 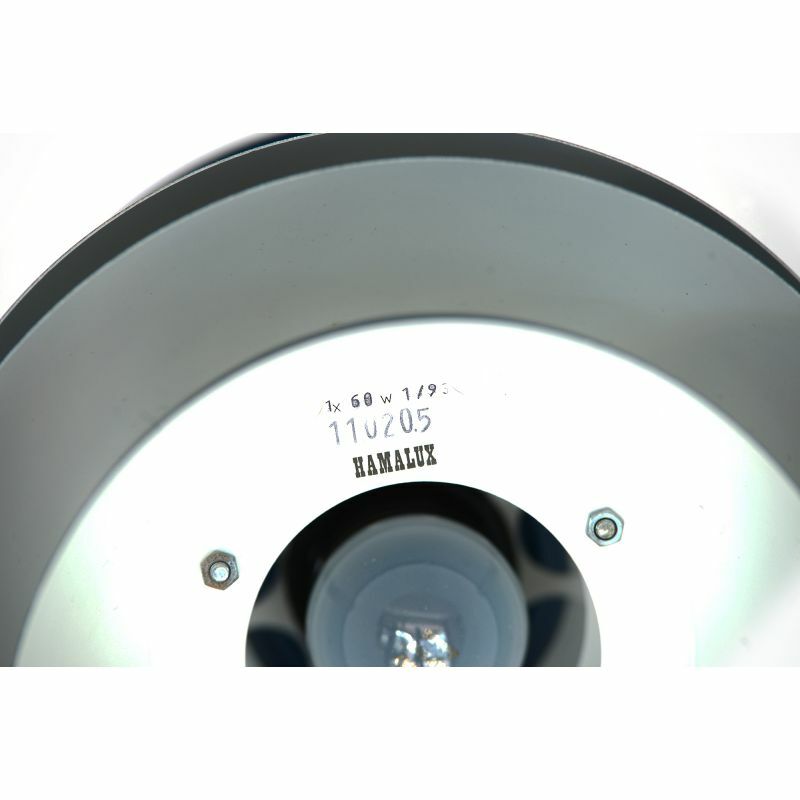 It consists of 4 metal shades with a deep blue lacquer on the outside and white insides. Good projection downwards as well as decorative light around the sides.